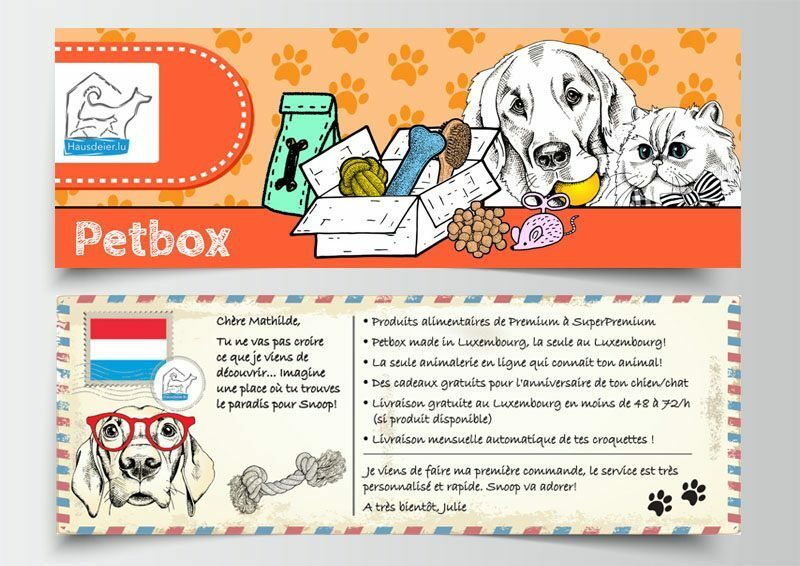 Hausdeier Pet Supplies is a wonderful pet boutique company in Luxembourg. They came to me wanting something a little different to advertise their services. 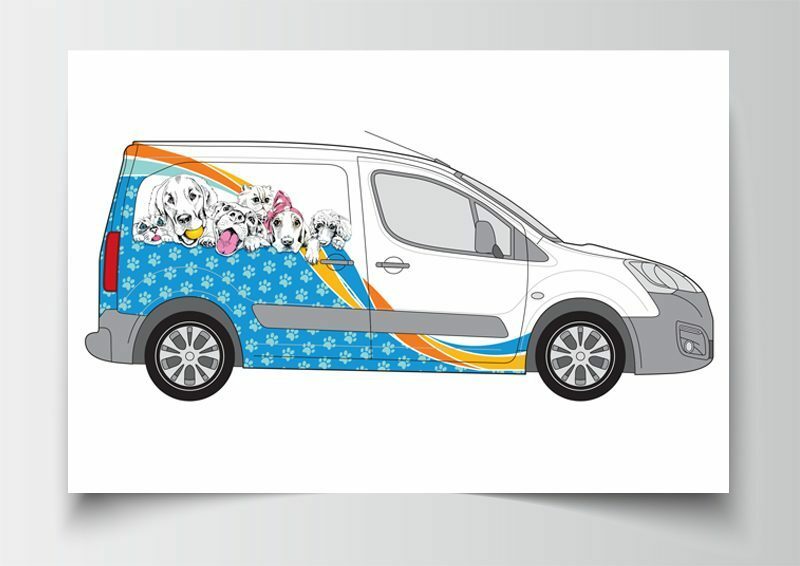 They mainly specialise in creating ‘pet boxes’ for dogs and cats, adapted to the personality and needs of people’s pets. The idea is seeing each animal as an individual. With this in mind, I thought it would be fun to do something that I love…drawing! So we ditched all of the animal photo’s that are seen across many competitor sites and I started creating illustrations that would emphasise the personality of each animal. Hausdeier really loved this type of approach so it is something I am continuing to apply throughout their rebrand. 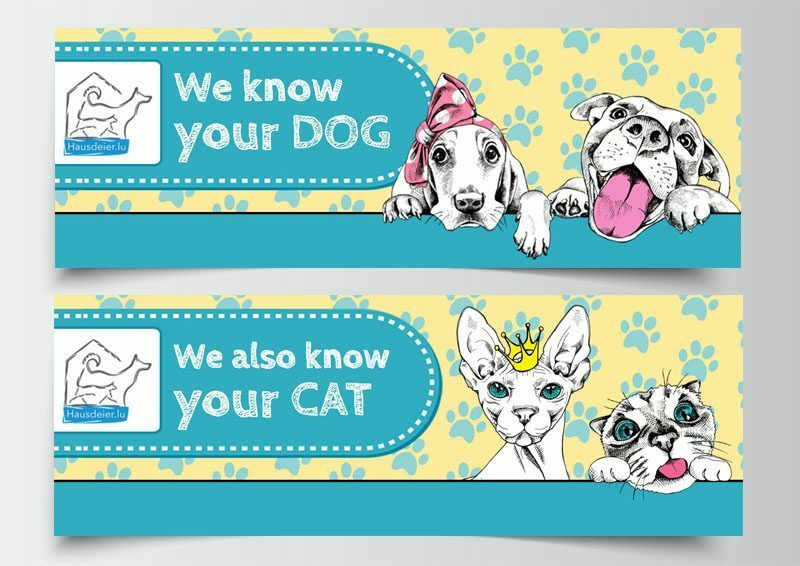 Who doesn’t love a dog wearing spectacles or a cat wearing a crown?